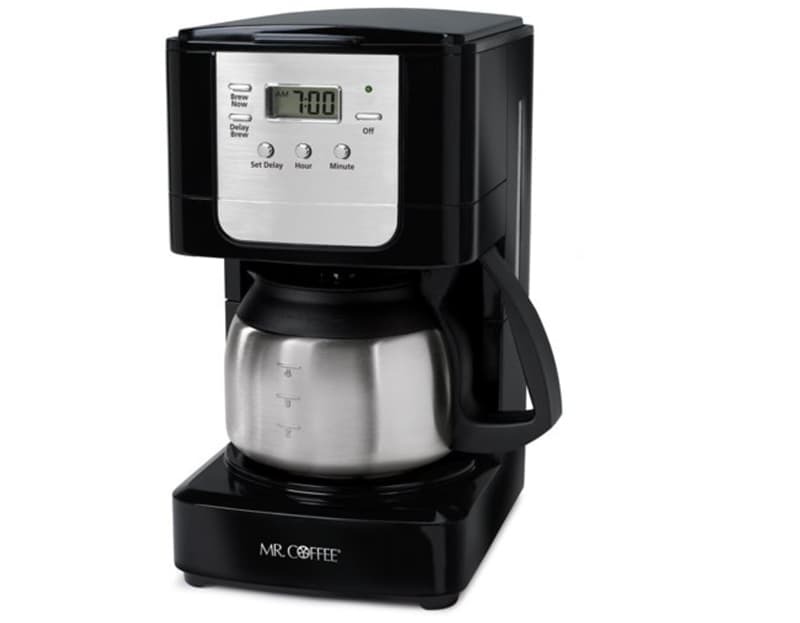 “First of all, I have to have my coffee in the morning and, even though I have tried non 110-volt coffee makers, I have not found one that I find as convenient as my Mr. Coffee JWX9 5 cup coffee maker. It has a stainless steal pot so breakage is not a concern. I usually have shore power. When I don’t, I will fire up the generator for the short time it takes to brew a pot. “In the kitchen, I have a 110-volt versatile crockpot (which is a pan and heating unit). The pan is 4-quarts and can be used as such. When you put on the electric base, it becomes a crockpot. I also have a 110-volt hand mixer, an immersion blender, a heavy duty Ninja blender (makes great margaritas), Ninja food processor, and (of course) my blow dryer, curling iron, and hot curlers. All of these items can be used on shore power, but I have absolutely no problem using them while we are dry camping since we have a 1,000-watt inverter. “We absolutely love our 110-volt NuWave oven. Admittedly, it is bulky to find space for, but it is very light and well worth it. We use it in camp and at home all the time! It has been our favorite mini kitchen appliance for over 20 years. We wouldn’t leave home without it!” – Ken Southworth, 2015 GMC Sierra Denali 3500HD, No camper right now, we’re still shopping for the right one! “I have a 110-volt electric pressure cooker. I stumbled across one at Goodwill, and glory be it was a 4-quarts. I have a 6-quart version at home and love it, but it’s big and there is no place to easily fit it, so it stays home. Enter the 4-quart, and it’s just big enough. I throw something frozen in it when we have shore power and, in less than 45 minutes, we have a hot meal. It doubles as a slow cooker and rice cooker. 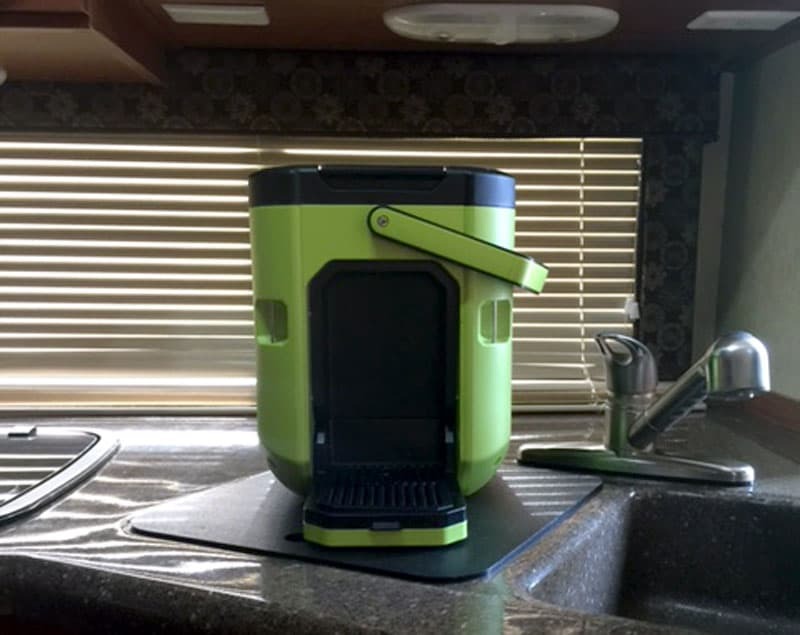 “We have a 110-volt Oxx CoffeeBoxx, the Godzilla of K-Cup coffeemakers. It was designed primarily for construction workers, but works great in the boondocks. “I have a 110-volt coffee maker with a stainless steel insulated pot, and a regular two-slice toaster. I installed a 2,000 watt inverter and a selector switch so, when we are plugged in, everything runs on shore power.